Sarah Potempa is a bicoastal hairstylist. Her celebrity clientele includes Lea Michele, Emily Blunt, Camila Cabello, Reese Witherspoon, Busy Phillips and Millie Bobby Brown. She has worked on editorial shoots for Vogue, Paper, Marie Claire, Jalouse, Teen Vogue, Vanity Fair, Esquire, and W. Sarah has collaborated on advertising campaigns for Bergdorf Goodman, Target, Converse by John Varvatos, Tommy Hilfiger, Urban Outfitters, FHI Heat and MTV. 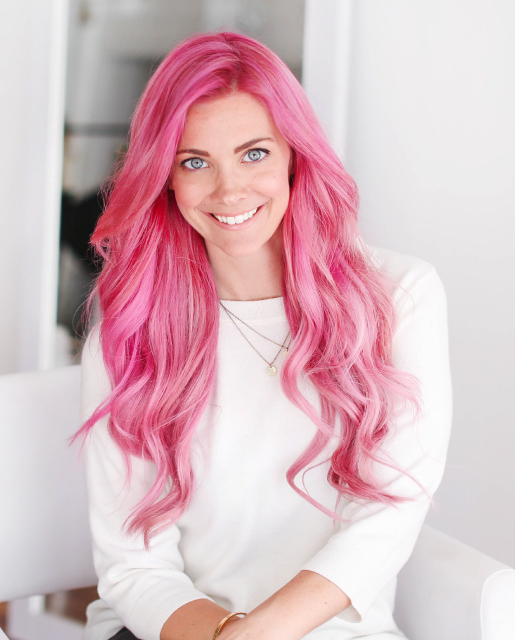 Additionally, Sarah is the Creator and CEO of the best-selling Beachwaver curling iron and styling tools. After continually explaining the complex process to get beach waves to editors, she sat down and sketched the idea for The Beachwaver®, the first ever rotating curling iron. Enlisting her sisters and a team of engineers, they dedicated the next two years to research and development. The response was immediate and the Beachwaver® Pro quickly became a hairstylists favorite and the wanted style by women worldwide.